Just this month, the owner of one of the most popular Chinese restaurants here in the Philippines, Super Bowl of China, has came up with a new Chinese restaurant for people from the North to try out! 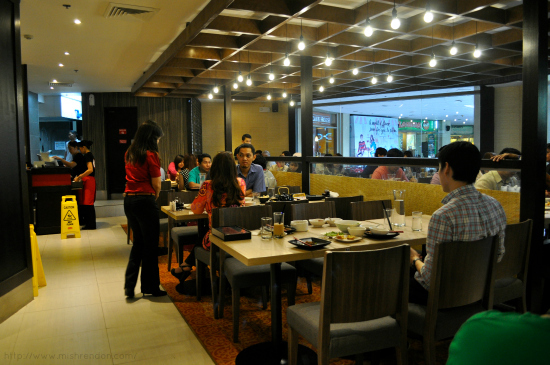 Red China by Super Bowl is not your ordinary Chinese resto for it does not offer Chinese dishes from the different regions of China, but Chinese cuisine from the East Asia and South East Asian Region. 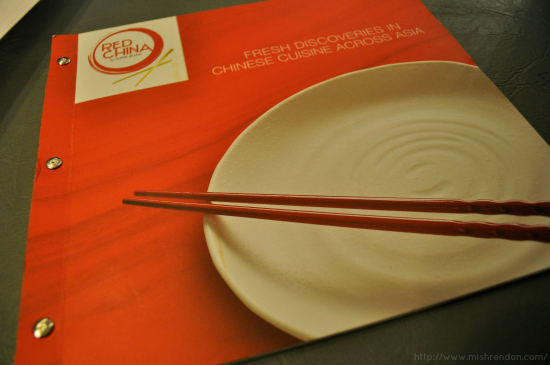 Located at TriNoma in Quezon City, Red China offers selected Chinese cuisine as served in Taiwan, Singapore, Hong Kong, and the Philippines. Their chefs were specially trained by experts from Singapore for them to master the proper preparation of the dishes and to achieve that special taste that they are aiming for. 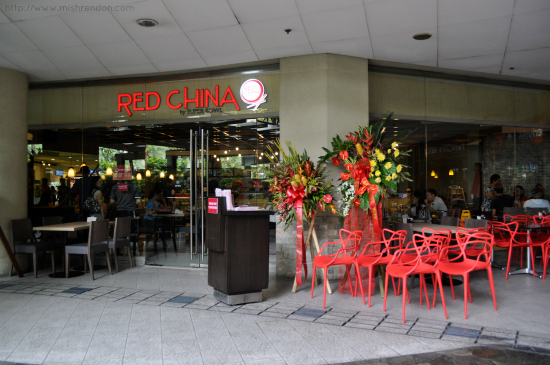 In my opinion, Red China is a relaxed and family-friendly restaurant where couples and families could dine, most especially during special occasions. Their dishes are usually for one to two persons as compared to Super Bowl's larger portions. But I think, they would be sufficient for two to three persons. Of course, their dishes are priced according to the proportions. Hence, they are more affordable. Red China offers hearty soups with mild flavors to start off your meal. 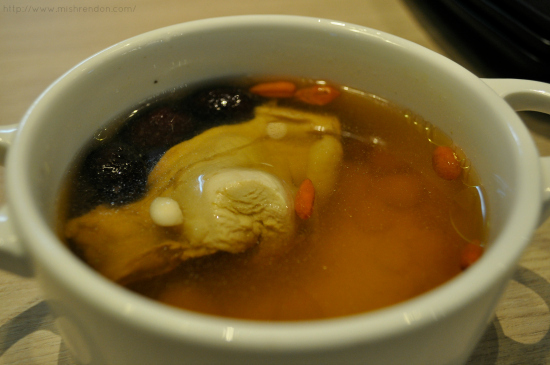 I tried out the Scallop Chicken Soup which has tender spring chicken chunks, blanched Chinese scallops, wolf berries, red dates, & almond seeds and served in a simmering and soothing clear chicken broth. What I love about this soup is the therapeutic feel that it gives you after taking a few spoonfuls. 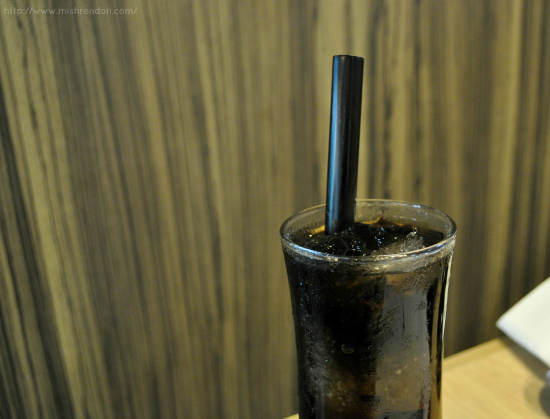 The different ingredients incorporated into it also gives it more variety. 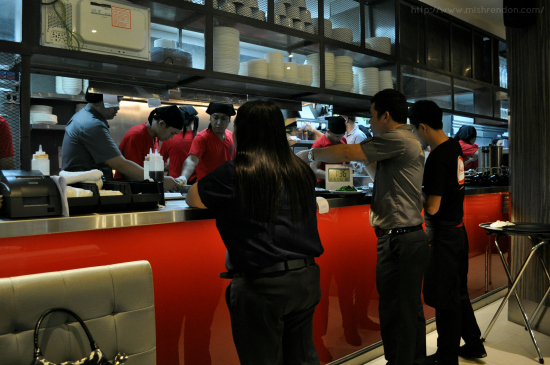 Several starters hailing from different parts of Asia are also available at Red China. 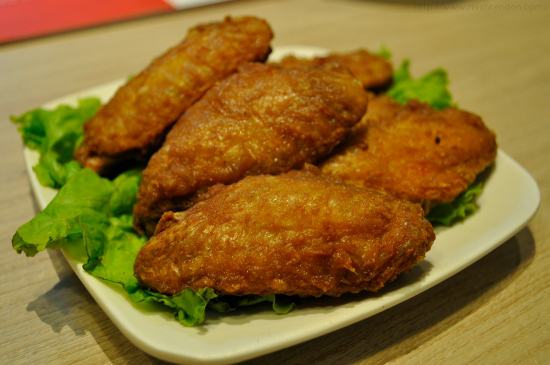 One of the bestsellers is the Shrimp Paste Chicken Wings which are chicken wings marinated in shrimp paste and other select Chinese spices. But my fave would definitely be the Singaporean favorite, Bacon Wrapped Shrimp, which consists of a premium smoked belly bacon wrapped shrimp marinated with Singapore Sotong paste and fried in a light & airy egg batter mixture. 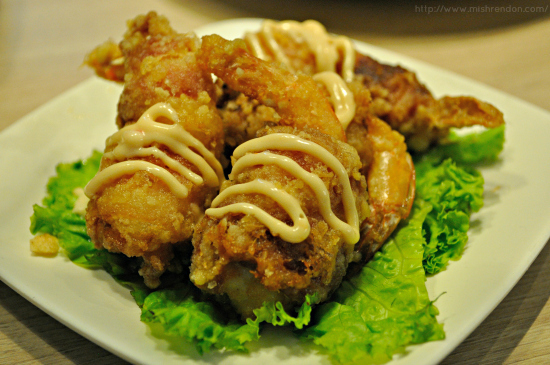 The combination of the rich flavor of bacon and the clean taste of shrimp is just perfect! 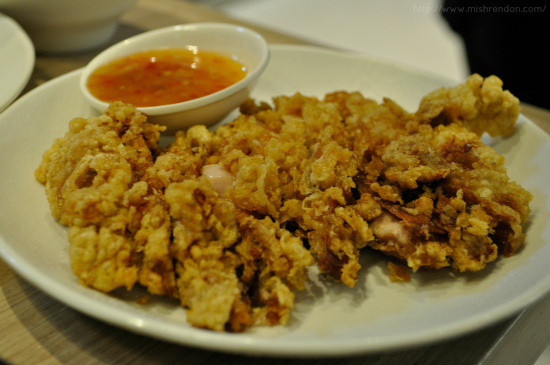 Definitely a must-try at Red China! 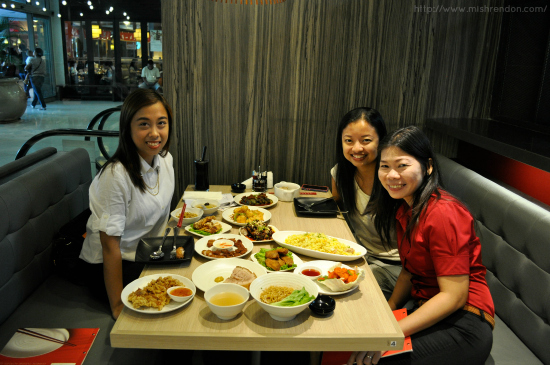 Of course, Chinese cuisine won't be complete without noodles! 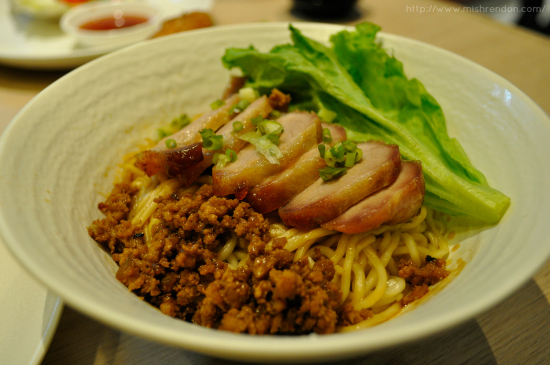 What I was able to try is the Minced Meat Asado Lao Mian, another favorite from Singapore. It comprises of Shanghai Lao Mian noodles sauteed with minced pork and Roast Pork Asado slices in Red China's signature Lao Mian sauce. This noodle dish is so much fun to eat! 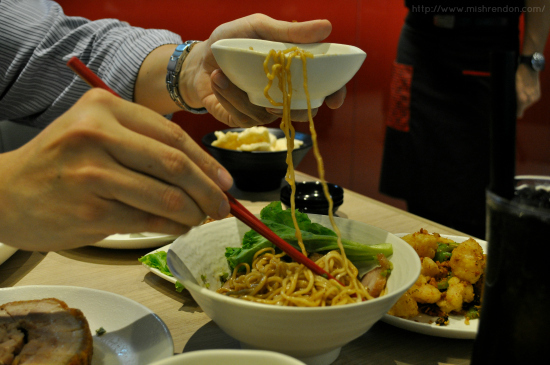 This comes with a clear soup that you sip after eating the noodle which balances the richfulness of the noodles. Red China specializes in roasted dishes, among others. 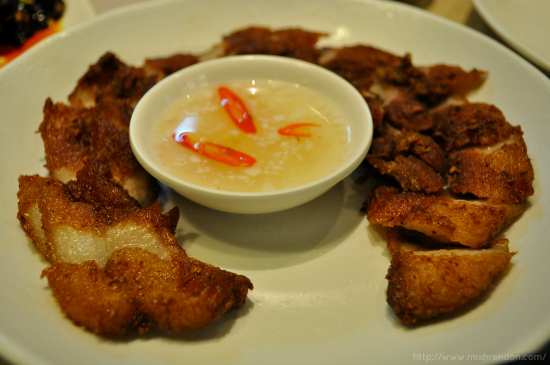 Roast Pork Belly, which is their Signature dish, consists of a premium pork belly flavor infused with Red China's Asian spice mix and slow roasted using ancient Chinese Roasting techniques and served with yellow mustard on the side. 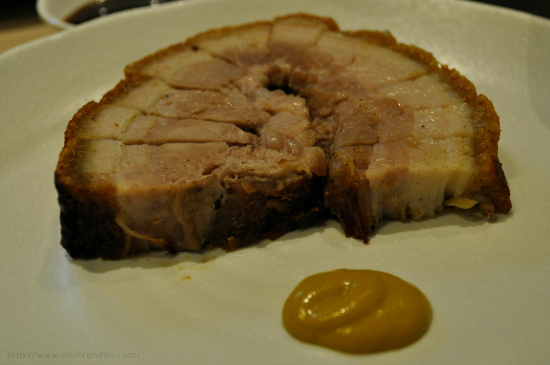 Roast Pork Asado, which I think is a sweeter version of the Roast Pork Belly, comprises of marinated and cured premium pork slices immersed in a delectable rice sauce. However, if you want to have a taste of both roast pork dishes, they have a 2 Roast Combination option where you could get both. 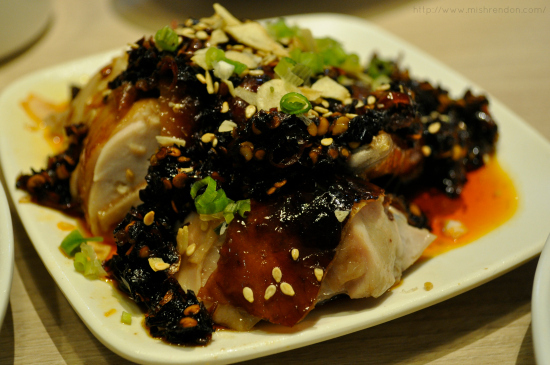 Another best seller from Red China is the Roast Chicken with Mala Sauce from Singapore which is half or whole roasting Asian spice mix marinated chicken doused with a Singapore signature spicy Mala Sauce and topped with toasted garlic chips & sesame seeds. It looks quite spicy at first, but it is definitely not. Just the right amount of spice to give it a boost. 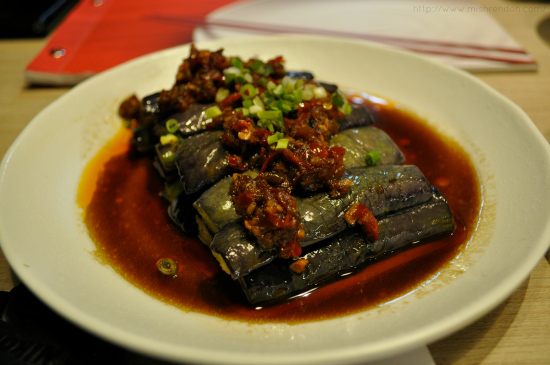 The main dishes served at Red China has a wide variety. From veggies, seafoods, chicken, and pork! What we had during the event was the Spicy Eggplant, which is sauteed eggplant slices topped with Red China's Chinese Chili paste served on a bed of fish sauce; Hong Kong Style Spicy Shrimp, which is shelled fresh shrimp sauteed in garlic, chili fingers, minced black beans, and mixed vegetables blended with secret Chinese spices; Salted Egg Shrimp, which is shelled fresh shrimp sauteed in a Chinese salted egg batter; and, Chicken Chop, breaded & seasoned boneless chicken fillet fried to a golden brown crisp served with sweet chili sauce on the side. I particularly liked the Spicy Eggplant because it has a mild taste and its not too spicy and it does not taste fishy at all. My favorites, though, would be the seafood dishes. 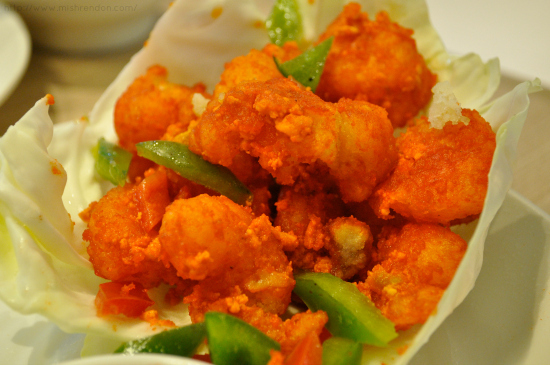 The Salted Egg Shrimp has a unique taste to it. It is not too salty and the salted egg blends well with the shrimp. 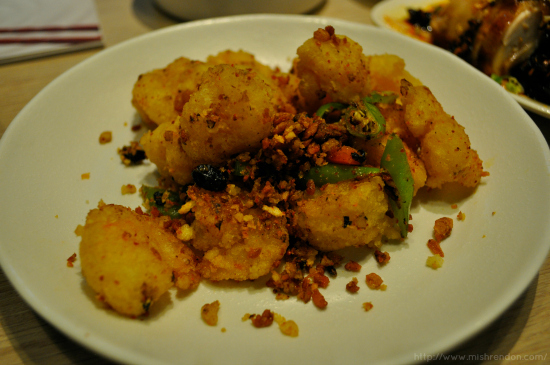 The Hong Kong Style Spicy Shrimp, on the other hand, is very tasty and spiced just right. Since we're Asians, rice is an inevitable part of the meal. 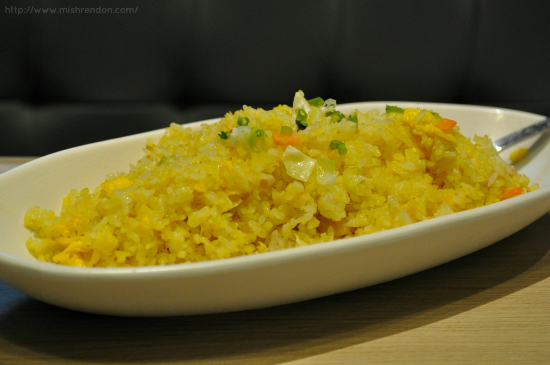 One of the best sellers in Super Bowl is their Yang Chow Fried Rice. In Red China, the Yang Chow Fried Rice, which is fragrant rice sauteed in Red China's signature fried rice sauce blended with shrimp, roast pork asado bits, ling fish cake, egg, & assorted vegetables, has an improved recipe. Surprisingly, it goes well with all of the dishes! 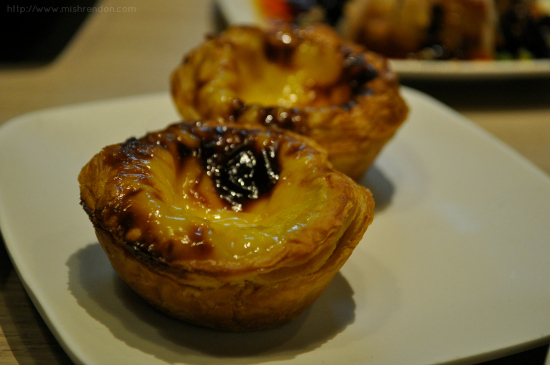 My absolute favorite from all the dishes that we tasted was the Egg Tart. It is delicately toasted creamy egg custard cradled in a light, flaky, & buttery crust. Since I am a huge fan of anything sweet, this one just won me over! It is not too sweet though, which is just right for me. It is very creamy and it does not have the weird taste that eggs have. With the beautiful ladies from Red China! Hi... is red china different from superbowl of asia? Or they changed their store name?